Home remodeling has always been popular and today, with the easy availability of a wide range of stair replacement parts and accessories, giving your interiors a dramatic new look has become easier than never before. It is natural to feel excited about the prospects of an iron balusters sale. Wrought iron has emerged as a popular material for crafting stylish and durable stair parts in recent years. And home remodelers everywhere are installing them while renovating homes and offices for their easy availability, durability and budget-friendly cost. With such widespread popularity, an iron balusters sale is sure to attract a lot of attention in all quarters. 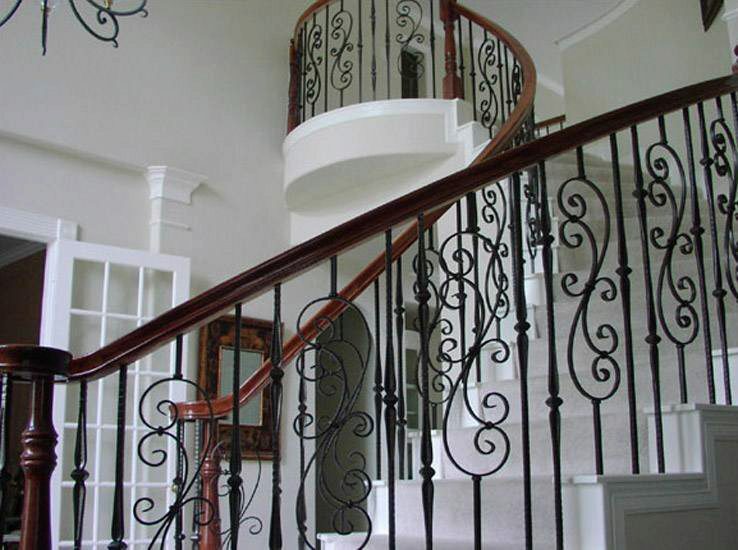 You can get the great looking wrought iron balusters for your staircase without having to lose your shirt over them. Wrought iron baluster offers many advantages. First, it easily lends itself to be molded into various designs of every conceivable shape and size. No matter what kind of a design you may be looking for – from ornate classical designs to art deco, from the traditional to the contemporary, or perhaps something that’s entirely unique – trust the intrinsic flexibility of wrought iron to take on the exact shape and size that you desire. Moreover, wrought iron balusters are much cheaper than most other materials. They also last for years, requiring little or no maintenance. Thus, they also offer excellent value for money for years to come. In short, purchasing the iron balusters from sale will save you a handsome amount of money, which you can spend on purchasing other quality materials to enhance the beauty of your home.